1 x 236ml Beard Shampoo – Sandalwood, 1 x 236ml Beard Conditioner – Sandalwood. Presented in a gift box. 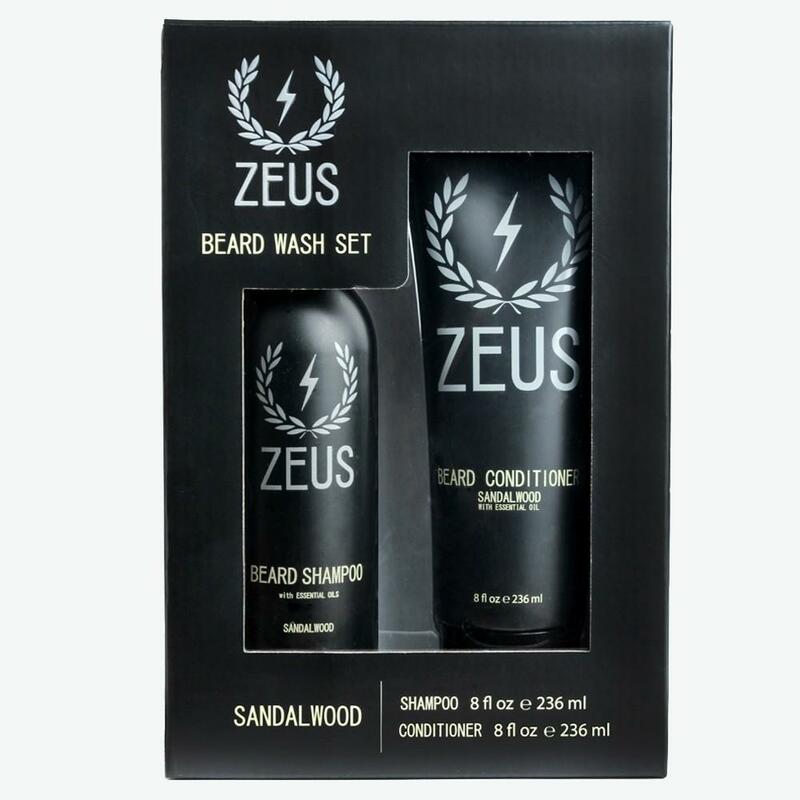 Zeus Beard Shampoo in Sandalwood can be used to cleanse your hair daily without stripping your beard of natural oils. It will leave your beard soft and manageable, unlike regular soaps and shampoos that can damage hair follicles and leave skin dry and irritated. Zeus Beard Conditioner in Sandalwood contains natural ingredients that tame the even the most bristly beards. 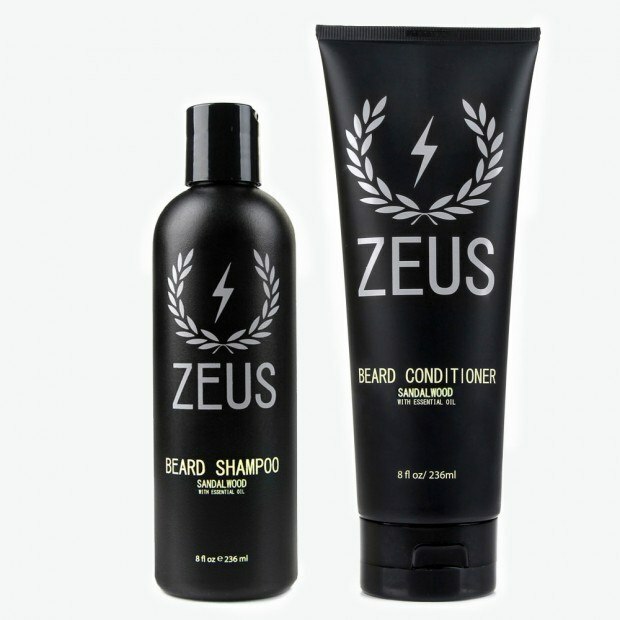 Zeus Beard Conditioner combats flaky skin with a blend of Pro-vitamin B5, Aloe vera, and Avocado oil. Use this conditioner daily to maintain, condition, and strengthen your facial hair. Zeus Beard Shampoo & Conditioner is specifically formulated for your beard to provide optimal moisturising and comfort. Perfect for sensitive skin! Pro-Vitamin B5: Helps prevent moisture loss and deposits nourishing moisture deep into your hair follicle, smoothing the hair cuticle. Aloe Vera: Promotes hair growth, helps reduce itching and dryness, reduces inflammation and conditions and strengthens the hair. Green Tea: Suppresses inflammation and reduces irritation.